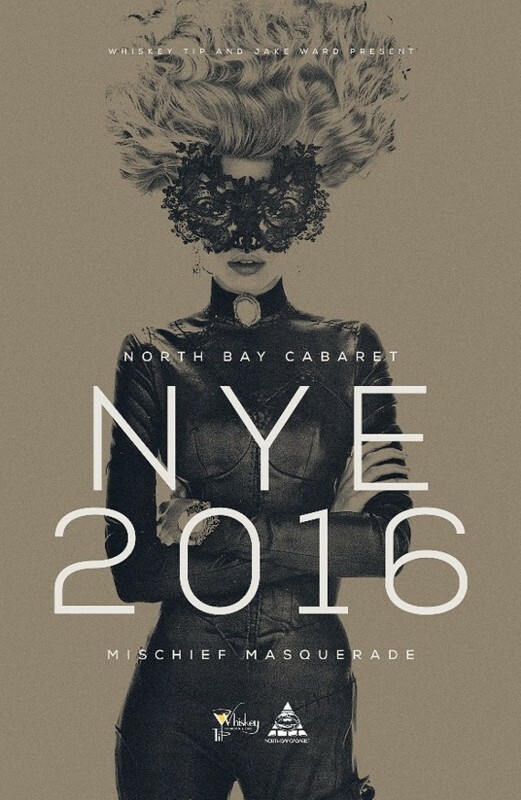 Spend New Year’s Eve dressed in your finest formal wear, sipping champagne, while being entertained by The North Bay Cabaret’s burlesque and circus acts.The Mischief Masquerade at Whiskey Tip in Santa Rosa features fearless fire performers, risqué acts by renowned vaudeville artists, top notch comedians and live music. There will be DJ jams until 2 a.m. and complimentary champagne at midnight — all the ingredients necessary for a mischievous and magical night. The dress code encourages masquerade masks, black-tie and a whole lot of glitz and glamor. 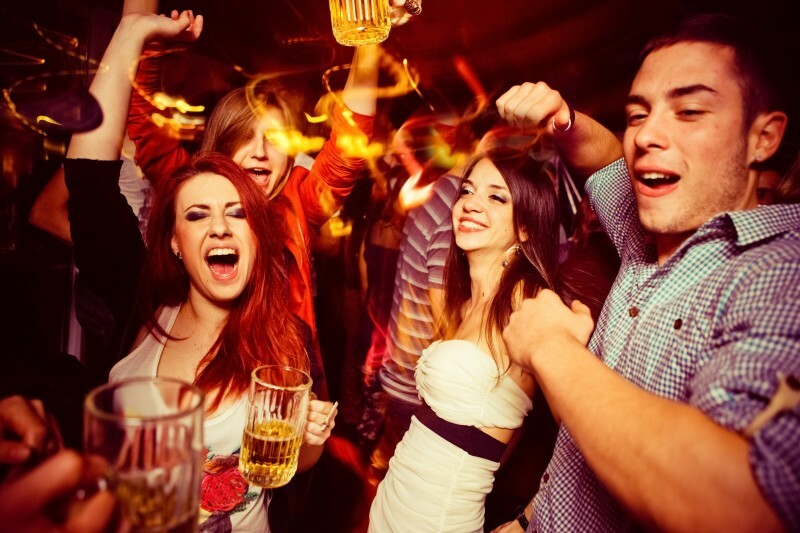 Mischief Masquerade, Whiskey Tip, 1910 Sebastopol Road, Santa Rosa, Saturday, December 31, 7 pm, $20-25, 21 and over, get tickets here. Say so long to 2016 with a trip back to the late ‘60s. 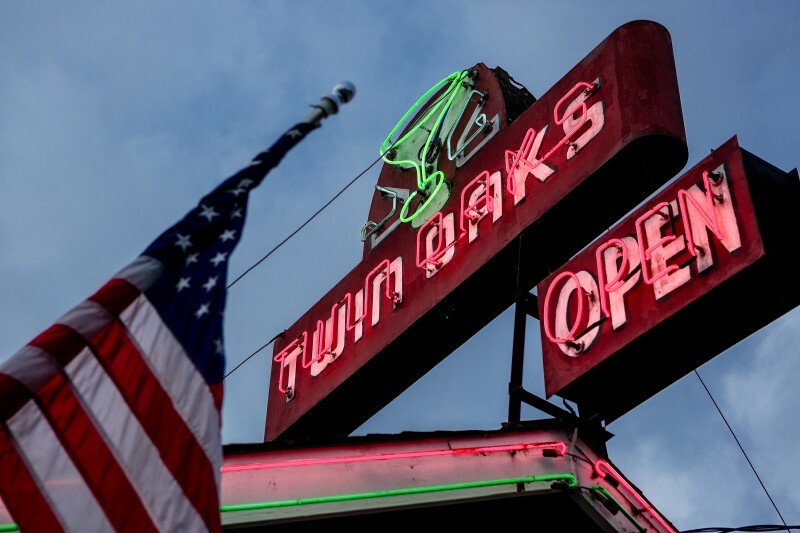 On New Year’s Eve, Twin Oaks Roadhouse will be serving up a retro party with live tunes from new North Bay soul band Highway Poets and Santa Rosa’s The Marshall House Project offering a blend of psychedelic sounds, hazy guitars riffs, funky bass tunes and dance beats. Marshall House Project, Highway Poets, Twin Oaks Roadhouse, 5745 Old Redwood Hwy, Penngrove, Saturday, December 31, 8 pm, 21 and over, $25, get tickets here. Treat tiny tots to a day of cheerful New Year’s celebrations (later, you can drop the kiddos off with the babysitter/grandparents and go partying, with good conscience). The Happy New Year, Charlie Brown! event at Charles M. Schulz Museum in Santa Rosa will feature hands-on crafts for kids, Santa Rosa’s only Up-Down and Baby Balloon drops at Noon, and root beer toasts at noon and 3:00 pm. Happy New Year, Charlie Brown! Charles M. Schulz Museum, 2301 Hardies Lane, Santa Rosa, Saturday, December 31,10 am — 4 pm, more info here. 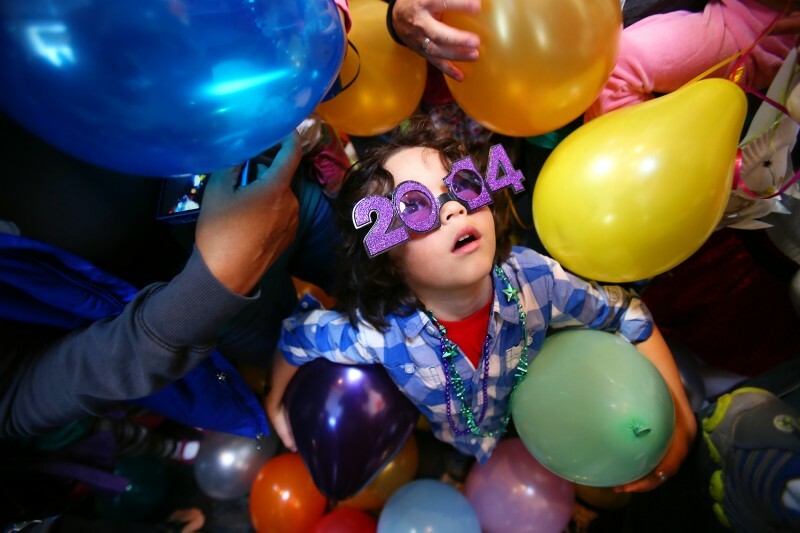 High-Noon Excitement: Young guests at the Charles M. Schulz Museum ring in the new year early with balloons and soda during Tuesday’s “Happy New Year, Charlie Brown!” event 2014. 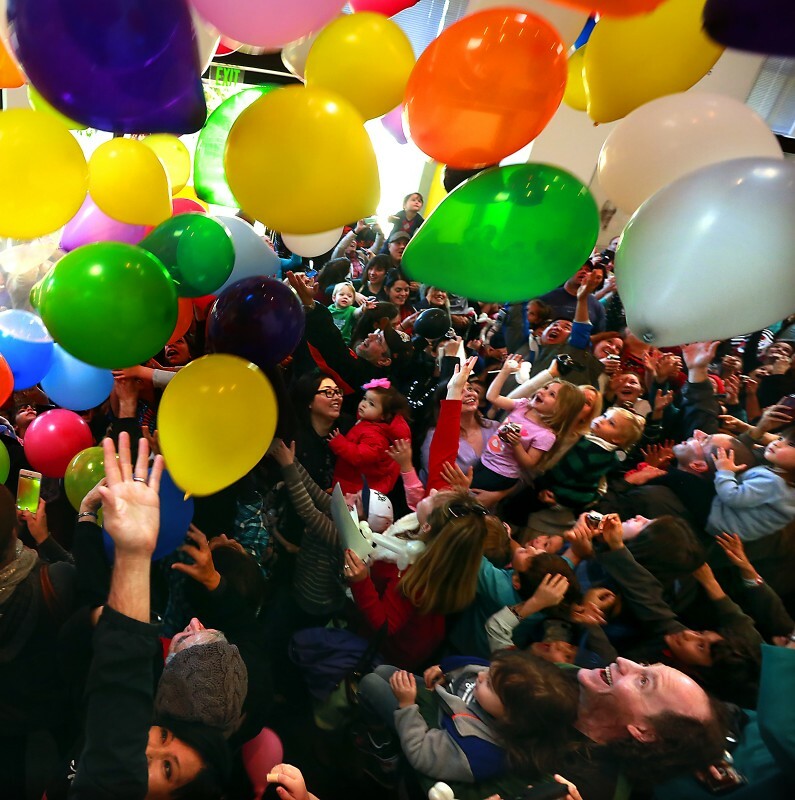 Hundreds of children and their parents watch balloons drop at noon at the Charles M. Schulz Museum’s “Happy New Year, Charlie Brown!” celebration in Santa Rosa. 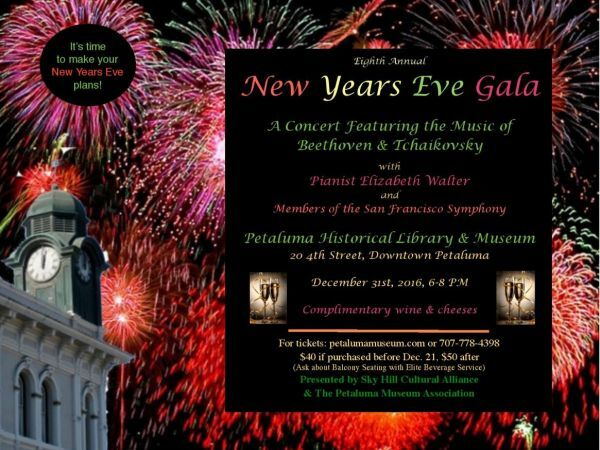 Celebrate New Year’s Eve at Petaluma’s “Carnegie Hall,” indulging in the sounds of Beethoven and Tchaikovsky performed by string players from the San Francisco Symphony. This annual gala concert has become a popular Petaluma event, and sells out fast. This year’s lineup includes Amy Hiraga on violin, Peter Wyrick on cello, Matthew Young on viola, Kayleen Asbo on piano and Karen Clark on contralto. 8th Annual New Year’s Eve Concert & Gala, Petaluma Historical Library & Museum, 20 4th Street, Petaluma, Saturday, December 31, 6 — 8pm, $50-70, get tickets here. 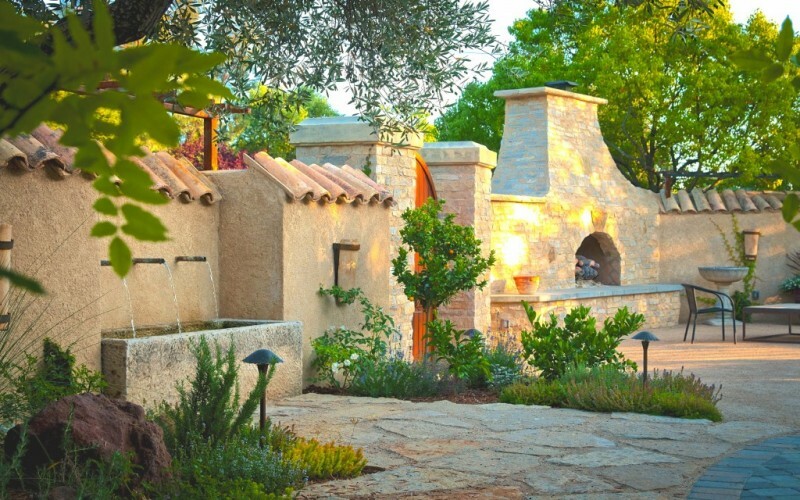 Dress in your glamorous best for an all-inclusive party, “Hollywood-style” party at Ramekins Culinary School in Sonoma. This exclusive event serves up craft beer, wine and champagne, savory bites (including wild mushroom polenta cakes with tomato confiture, smoked salmon mousse on brioche, foie gras mousse vol-au-vant with citrus marmalade, artisan cheese, truffle popcorn, wood fire roasted chicken with jalapeño chimichurri, and warm spiced beignets with apple butter pastry cream) and a midnight toast. Jeremy Sommier, performing as “The French Disconnection” will be spinning the discs until 1 am. Pop! Fizz! Clink! 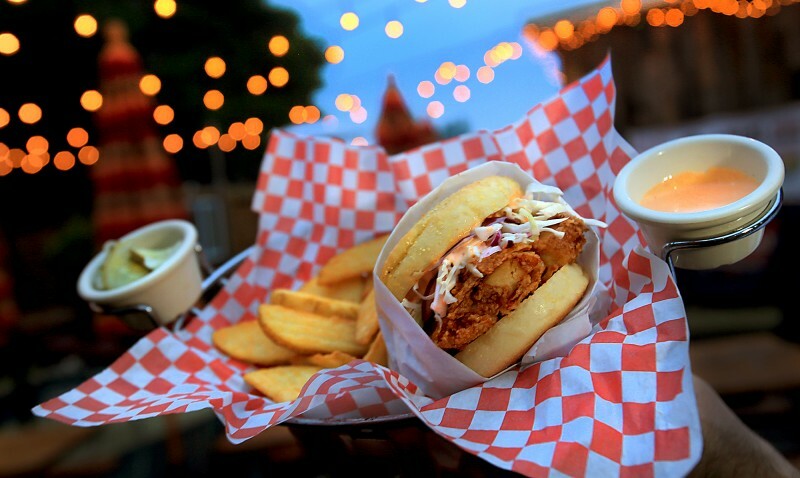 NYE Celebration, Ramekins, 450 W. Spain St., Sonoma, Saturday, December 31, 8 pm — 1 am, $125, get tickets here. Catch death-defying aerial stunts, see stouthearted sword swallowers and then dance the night away to the grooves of some of the finest bands Northern California has to offer: San Francisco’s pioneering psychedelic soul band Monophonics will be joined by Point Reyes Station’s genre-defying pop group El Radio Fantastique and Sonoma County’s own ragtag purveyors of old time gipsy party music, Oddjob Ensemble. 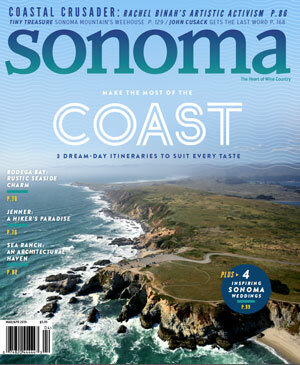 Sonoma Cider, Lagunitas Brewery, Wilibees Wines & Spirits, Revive Kombucha and Retrograde Coffee will be serving up drinks, and there will food from Gerard’s Paella. 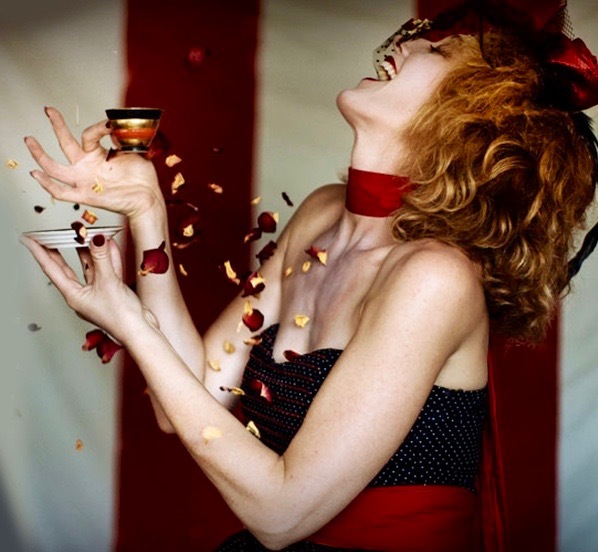 Top off your “Rustic Glamour” costume with face painting and enjoy complimentary champagne at midnight. 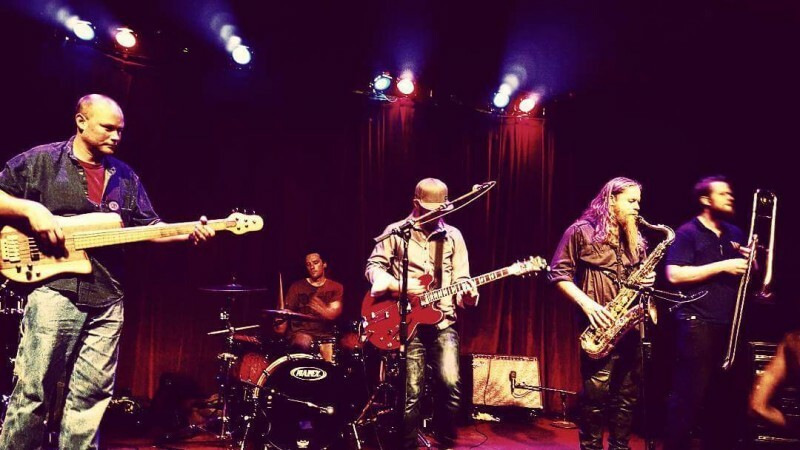 NYE Rivertown Ball with Monophonics, El Radio Fantastique & Oddjob Ensemble, Petaluma Veterans Memorial Bld, 1094 Petaluma Blvd S, Petaluma, Saturday, December 31, 9 pm — 1 am, 21 and over, $55-70, get tickets here.